Show potential clients that you take your job seriously. With Red Cross babysitting classes in Akron, you can get the training you need to care for the kids in your neighborhood when their parents can't be with them. Designed for those ages 11 and older, our babysitter training courses can help you build a rapport with the children you care for, and meet each family's unique needs. In Akron, babysitting classes from the American Red Cross take just a few short hours to complete. Depending on which class you choose, from Babysitting Basics, Babysitter's Training, or Advanced Child Care Training, you may be able to take your class online, or you may need to attend an in-person training session. Explore our current list of classes to find more details on each type of training. Whether you choose our Babysitting Basics, Babysitter's Training or Advanced Child Care classes, you'll learn important tactics, strategies and skills designed to help you provide the best quality care for the children in your charge. Each class covers a range of important topics in varying depth (based on the experience level of its students). These include: basic child care for infants and children, basic first aid, child behavior, choosing age-appropriate activities, emergency protocols, professionalism, and leadership. As you progress through each level of our Akron babysitting classes, you'll become more capable and confident in your skills, and find new ways to grow your business. Designed for sitters, au pairs, nannies and care givers ages 16 and older, our Advanced Child Care Training course can help you provide exceptional care to infants and children ages 10 and younger. Available in an online format, or via a blended (online and in-person) course, our Akron babysitter training gives you a range of options to suit your schedule, and your learning style. After successfully completing your Akron babysitting classes, you'll receive a printable certificate that you can use to build your portfolio and share with potential employers. In addition, it and all of your other Red Cross certificates, will be available online. This gives you the power to access and print your certificate anytime, anywhere. And because each certificate includes a unique ID and a QR code, employers can easily use a standard QR reader on their favorite smart device to confirm whether your certificate is valid. In addition to our Akron babysitting training classes, we also offer a wide range of courses that can help you provide care to kids and adults when they need it most. 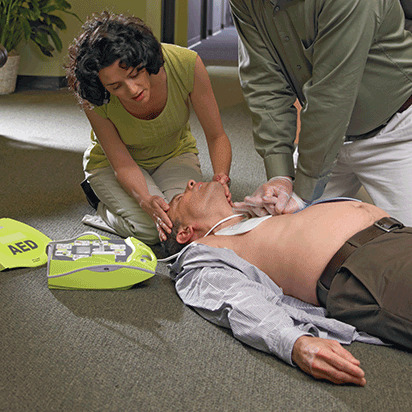 With training in First Aid, CPR and AED usage, you can learn skills that will allow you to help in an emergency. In Akron babysitter training from the American Red Cross is available online and in person, depending on the class you choose. However, regardless of the type of course you select, you'll still receive world-class instruction and the latest information. All of our classes are developed under the guidance of, and reviewed by, the Red Cross Scientific Advisory Council, which works to ensure that our students receive instruction that's both up to date and in line with best practices. All classes, once successfully completed, result in a printable certificate that you can share with your employers. The Red Cross delivers babysitting classes in Akron and across the country that are developed under the guidance of, and reviewed by, the Red Cross Scientific Advisory Council. This 50+member panel is dedicated to ensuring that our babysitting courses, and all of our classes, are built around the best science, and best practices available.